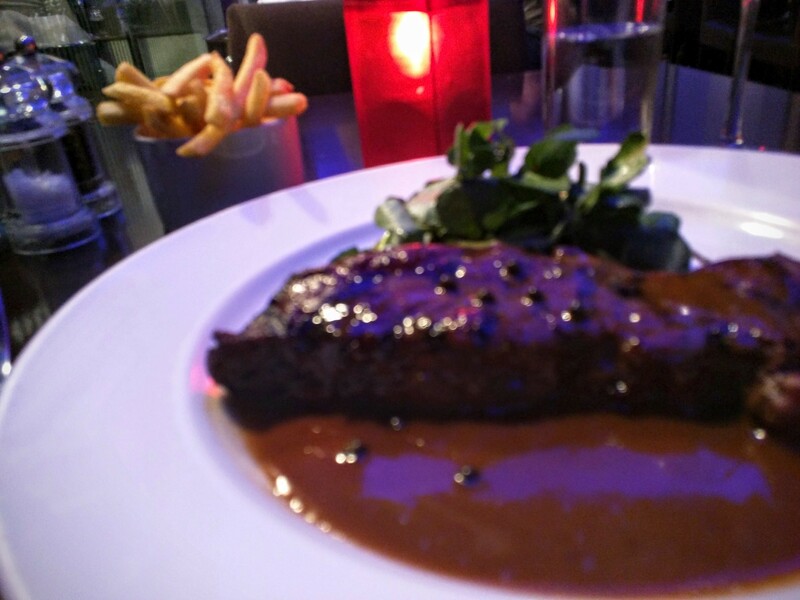 Wonderfully aged sirloin steak in peppercorn sauce. Served with a fantastic argentinian shiraz at the Island Grill, London. Photo taken on September 25th, 2015.